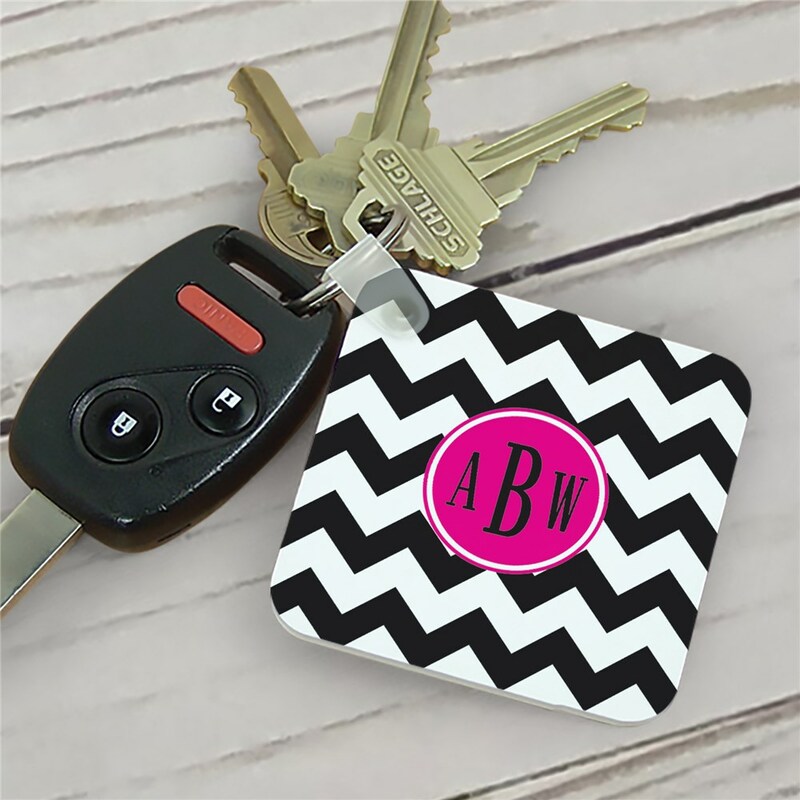 Our Design Your Own Key Chain is a keepsake no one wants to leave home without! 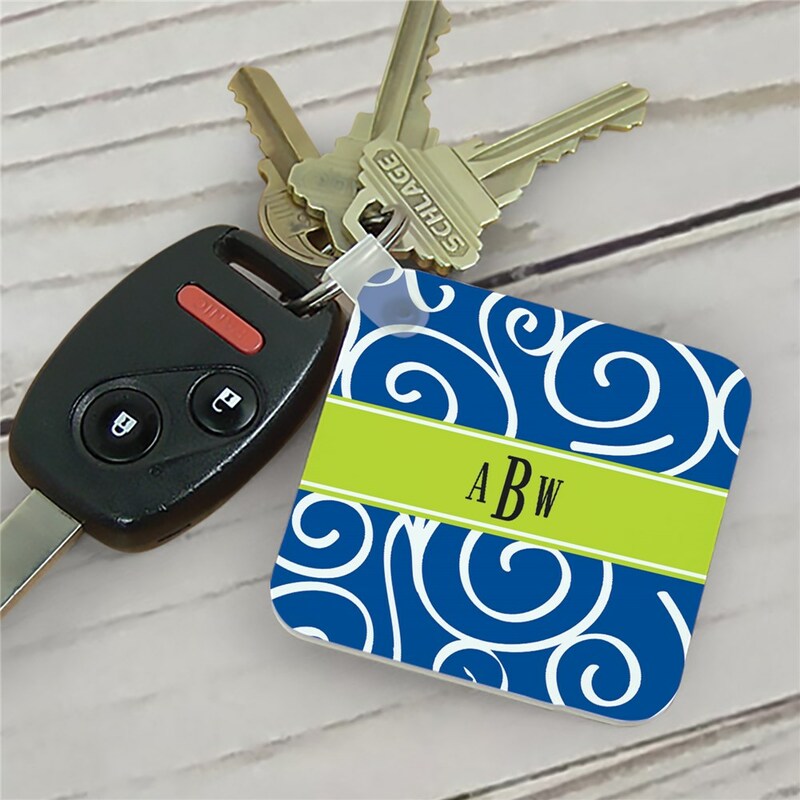 With bright colors and fun patterns to choose from, our custom printed Key Chains are the ideal combination of over the top style and appeal. Free personalization is included. 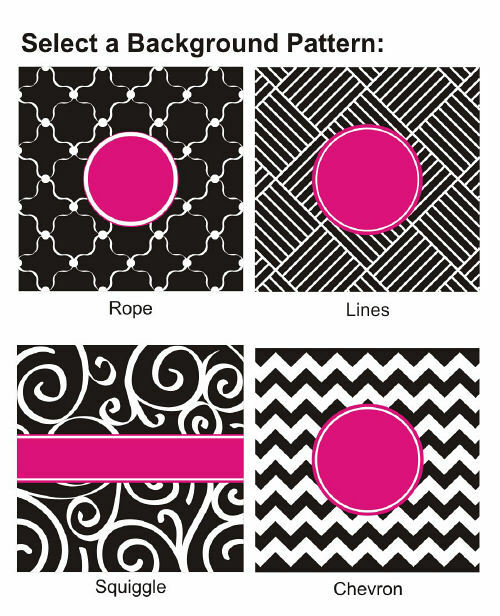 Select a background pattern of Chevron, Rope, Lines or Squiggle. 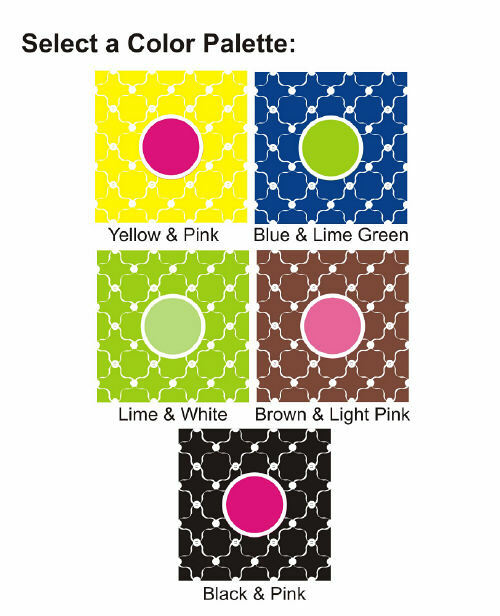 Select a color palette of Black & Pink, Yellow & Pink, Lime and White, Blue and Lime, Brown and Light Pink or Pink & Black. 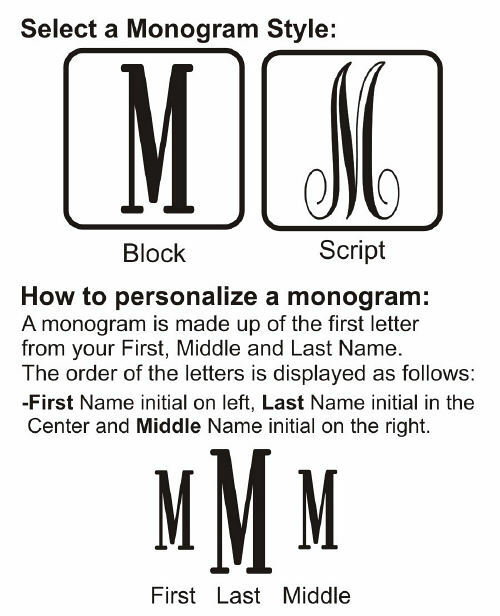 Select a Monogram Style of Block or Script. Measures 2¼" x 2¼" and is 1/8" thick. Loved the keychains, excellent quality, and fast delivery.